It’s a sobering thought, especially when you consider that 300 million tonnes of plastic is produced every year, with around one third destined for single-use products. But then, Professor Richard Thompson OBE, has for the last 15 years been offering a strong dose of smelling salts on the issue thanks to his remarkable body of research on plastic pollution in our marine environment. 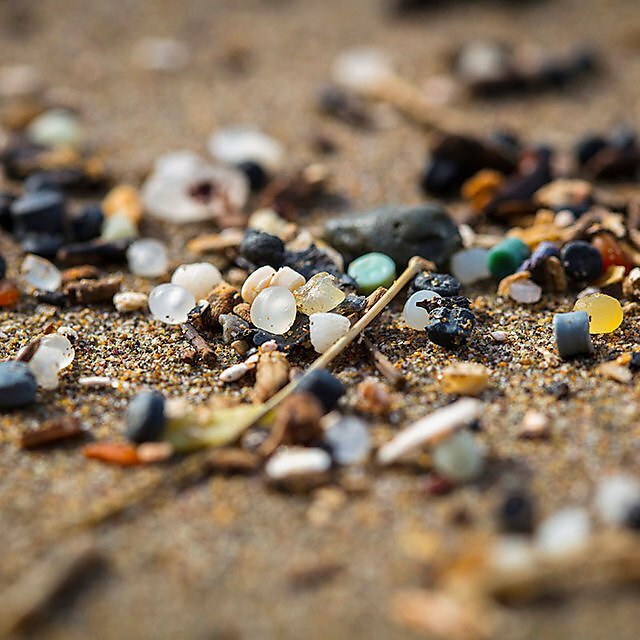 A decade-and-a-half on from his seminal paper, describing the accumulation of what he named microplastics, Richard has mapped out much of the territory upon which our understanding of both the impacts of plastics and the potential solutions are based. 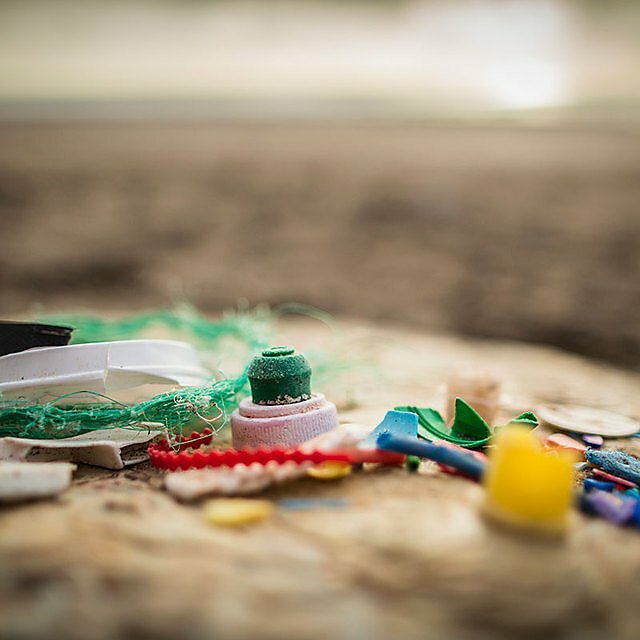 For example, work by the International Marine Litter Research Unit he founded has shown that once in the environment a single plastic bag could be shredded into more than 1.75 million fragments. The Unit has also found that of the 700 marine species now known to encounter litter in the environment, the vast majority are with plastic, with many of these encounters proving either harmful or fatal. We’ve learned too that a single wash load of acrylic clothing can release 700,000 microfibres, and that facial scrubs can contain up to 2.8 million microbeads – at least they did until the government banned their use in wash-off cosmetics, a decision based upon Richard’s expert findings. 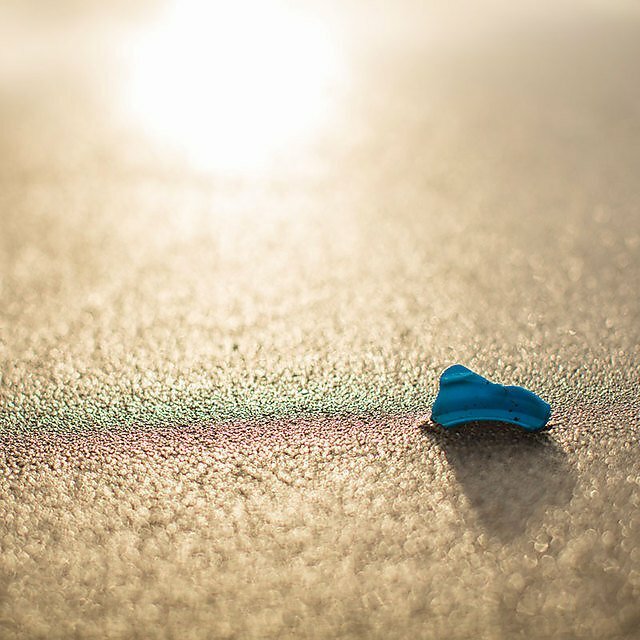 The Blue Planet-effect might have made marine plastics a household topic, but it was work by Richard and his team that dredged up the supporting evidence and placed it under the spotlight. It feels like Richard is everywhere too, as ubiquitous as the pollution he’s been studying. 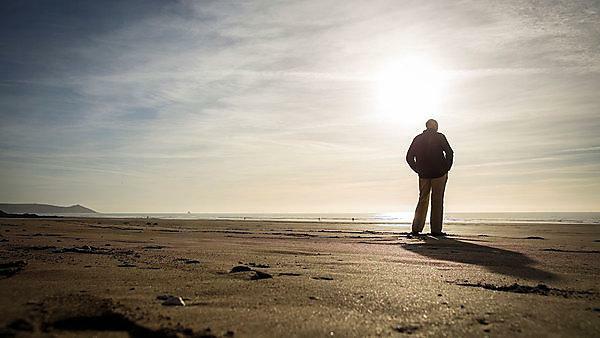 The newly-appointed Director of the University’s Marine Institute was in France just 24 hours earlier giving a keynote lecture at a conference for the European Science Foundation. In May, it was the Galapagos Islands, for a research trip to look at the issue of litter, and how the area might serve as a model system helping our understanding for other regions. And in the days to come, he’s meeting with HRH Prince Charles to discuss his research, and heading off to Singapore and Australia for more lectures and high-level talks, and an overdue family holiday. On this particular morning, Richard’s in-demand diary has summoned him along the South Devon coast to Salcombe, for a meeting with local councillors and an international engineering firm. For once, plastic is not on the agenda, but instead a topic that is significant to Richard’s roots as a researcher. It was as a lecturer in benthic ecology (the ecological region at the lowest level of a body of water) that Richard first joined the University of Plymouth, back in 2001. 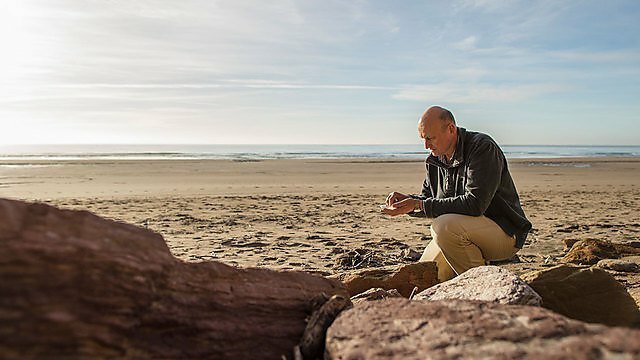 No stranger to the rocky shorelines of Devon, a location he’d repeatedly researched in his previous position at the University of Southampton, it is inarguable that his career has flourished in the South West, thanks to its unique natural and research landscape. There was a time, however, when it would have seemed thoroughly illogical that Richard should have been destined for a career in academia – and even more so that he should become “the godfather of microplastics research” as one MP said. It’s an irony not lost on him that he grew up in Nottingham, just about as far away from the sea as you can get, and that his early career was focused on selling some of the plastic products that wash up on our beaches today. As a mature student, Richard was determined to use his time most productively, and, after writing a number of letters to different organisations, he earned the chance to spend his first summer vacation volunteering at a marine laboratory in Australia. For his second, he organised an expedition with two other students to East Africa, looking at commercially collected sea shells. “I saw that there were opportunities that I hadn’t had before,” says Richard. “And what I really took from university was the interaction with people who were studying the environment from different aspects. They were motivated and passionate, and that came through from the lectures and projects we did. You get a bug for that passion, and that was certainly quite different to working in a business environment where the main motivation is profit. After graduating, Richard worked as a labourer on building sites for a year, before finally landing a PhD in marine ecology at the University of Liverpool in 1992. Based at their marine station on the Isle of Man, Richard’s work was to be on the interactions and dynamics between microscopic algae and molluscs, such as limpets. And it was during this time that the issue of marine plastic pollution began to coalesce in his mind. He recalls: “I’d first become aware of the issue of plastic accumulating as litter on beaches during my time at Newcastle, when I conducted some experiments on biodegradable plastic bags, one of which I still have today and is perfectly usable! But it was during my PhD that I started to get involved in beach cleans. As I was training to be a scientist, I was interested in the data, and in the first year, we collected 20,000 items, all of which I logged on a spreadsheet. And two things struck me. The first was the scale: we were using a pickup truck to collect the sacks of litter and take them back to the lab, and after the first run we’d maybe gone 10 metres along the beach – and there were 15 more beaches to go. I couldn’t believe how far the rubbish stretched; we could barely scratch the surface! On an island in the middle of the Irish Sea, which doesn’t have a particularly big population, we’d got all of this stuff, and that was shocking. Lost at Sea: Where Is All the Plastic? was that answer. Funded by a Leverhulme Trust grant, and published in Science over a Bank Holiday weekend, when it landed, it changed everything. By the time Richard got into his office on the Tuesday, he had received dozens messages from journalists, and before that morning was out, he’d recorded interviews for the Today programme, and the BBC World Service. It transformed a sideline into the main focus of his career, something that has accelerated with every passing year. And, through successive research grants and subsequent publications, it has catapulted Richard into the realm of policy and public engagement. He’s made a number of appearances before government select committees, including the one for environment that paved the way for legislation preventing the use of microbeads in wash-off cosmetics. He was invited to speak at senator John Kerry’s ‘Our Ocean’ conference in Washington DC in 2014, as well as other events organised by the United Nations and the Organisation for Economic Co-operation and Development. And he also contributed to The Foresight Future of the Sea report, published by the Government Office for Science, which explored the role that the UK’s scientific and technological expertise can play in understanding and providing solutions to the long-term issues affecting the sea. This commitment to interdisciplinary working has been – and will continue to be – key for Richard. He is quick to pay tribute to Steve Rowland, Professor of Organic Geochemistry, a ‘mentor’ figure and critical friend throughout his time at Plymouth. And he also reserves huge praise for Dr Sabine Pahl, Associate Professor in Psychology, who has introduced social and behavioural science particularly around perception and motivation for change and human wellbeing in the blue environment. The transcendent nature of Richard’s work and his commitment to building bridges have been recognised in the past two years, with the award of several prestigious honours. His OBE in 2018 for services to marine science, for example, was submitted by the Natural Environment Research Council. And his 2017 Marsh Award for Marine and Freshwater Conservation by the Zoological Society of London, was endorsed by academics from Cambridge, Oxford, Royal Holloway and Southampton. But what pleases him most is the fact that his team have drawn further attention to the issue of plastics in the environment. As we’re walking off the beach, Richard spots something in the sand and bends down to pick it up. Surprisingly, it’s not plastic, but a tiny pinkish shell. From something so small, such a wealth of association; the marine ecologist stands before us, with the wonder of the natural environment contained in the palm of his hand.